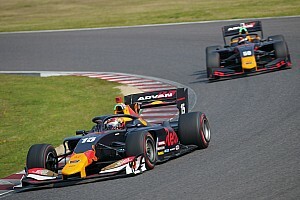 Tomoki Nojiri claimed pole position for the Sugo Super Formula round with a new lap record in Saturday’s qualifying session. Suzuka winner Naoki Yamamoto was the first to set a representative lap in Q3, taking the top spot on the leaderboard with a time of 1m05.313s. 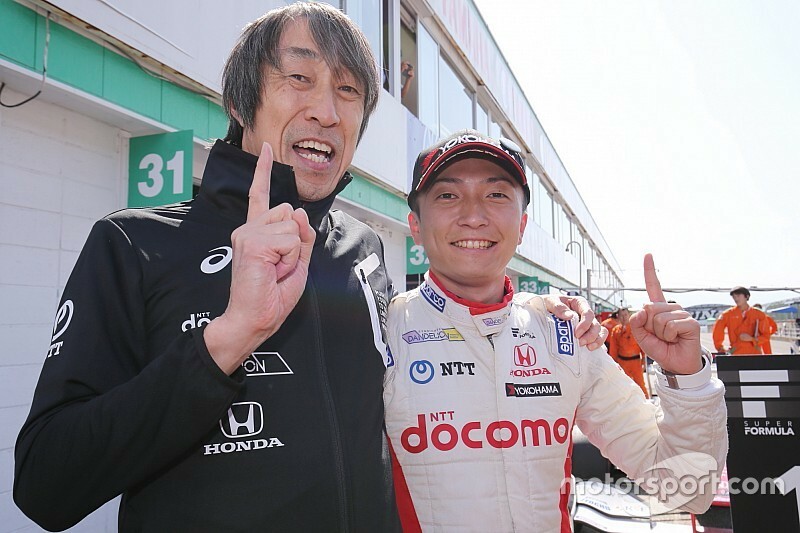 Q2 pacesetter Nobuharu Matsushita improved on Yamamoto’s benchmark by two tenths of a second, before Ryo Hirakawa dipped below the 1m05s mark to assume the top spot. But Nojiri managed to go quicker still in the dying minutes of the session, scoring his first pole position of the year with a 1m04.696s flyer. 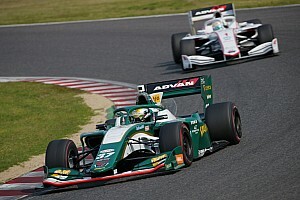 Former Formula 1 driver Kamui Kobayashi also managed to make a late improvement to grab a spot on the front row, ending up 0.247s behind Nojiri. 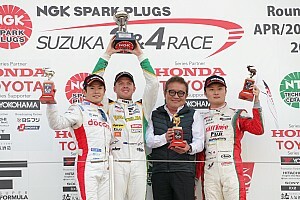 Hirakawa had to settle for third position, while 2016 Super Formula champion Yuji Kunimoto was just 0.001s behind in fourth with a late lap of his own. 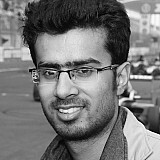 Matsushita was eventually classified fifth after he failed to replicate his sub-1m05s Q2 lap, ahead of Yamamoto and Kazuki Nakajima. 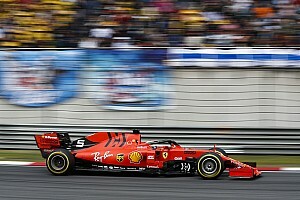 Defending champion Hiroaki Ishiura topped both practice sessions in the run-up to qualifying, but a spin at the SP corner left him eighth and the slowest of the Q3 runners. Red Bull junior Dan Ticktum qualified ninth on his series debut, the Mugen driver missing out on a Q3 slot by less than a tenth of a second. Kenta Yamashita completed the top 10 with a time that was three hundredths of a second slower than Ticktum’s 1m05.256s lap. Meanwhile, the injured Pietro Fittipaldi’s temporary replacement Tom Dillmann suffered an electric failure with just over a minute to run in Q1, necessitating a lengthy safety car period. He will start the race from 18th on the grid, just ahead of Takuya Izawa, who took no part in qualifying after suffering a massive crash in second practice.